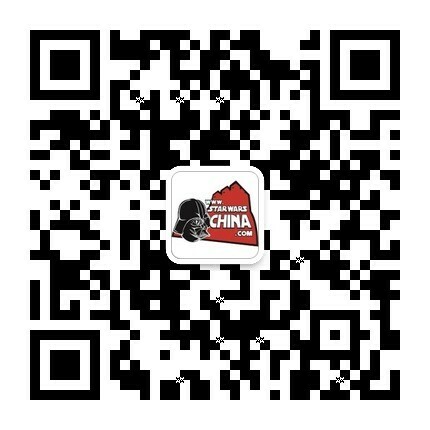 ﻿﻿ 费尔王朝(Fel dynasty ) - Wookieepedia - 星球大战中文网 Star Wars China - Powered by Discuz! "We're a family. Family does for family." The Fel Dynasty was the ruling family of the Fel Empire until Darth Krayt's coup of 130 ABY. Before the ascension of Jagged Fel, the first of the Fel Emperors, his family—or at least, his parents—were media stars of the first Galactic Empire and later associated with the Empire of the Hand and the Chiss Ascendancy. At least three members were dedicated soldiers and the family—Soontir Fel was one of the Empire's most ecorated pilots and his son Jagged flew with distinction during the Yuuzhan Vong War. The family was also linked to one of the most famous Rebellion and later on New Republic families, the Antilles family of Corellia, by marriage through Syal Antilles Fel, though due to their different positions in the political fabric of the galaxy, the had little contact for much of the Galactic Civil War. Soontir Fel, Imperial baron and fighter pilot. Syal Antilles Fel (also known as Wynssa Starflare), his wife, famous actress. Davin Fel, their eldest son, Empire of the Hand officer. Chak Fel, their son, Empire of the Hand officer. Jagged Fel, their son, Galactic Emperor of the Fel Empire and founder of the Fel dynasty. Fel II, son of Jagged Fel, and second Fel Emperor. Marasiah Fel, Roan's daughter and heiress presumptive. Cherith Fel, Soontir and Syal's eldest daughter. Cem Fel, their youngest son and shadow child. Wynssa Fel, their youngest daughter. Todr Fel, Soontir's younger brother. Ajai Fel, Todr's wife and Soontir's sister-in-law. Fyric Fel, Todr and Ajai Fel's son. 1 茜雅·安的列斯.费尔/Syal Antilles Fel(又名薇莎. 斯戴尔弗莱尔/Wynssa Starflare)苏提尔之妻,著名演员. 1 艾贾·费尔/ Ajai Fel,杜尔之妻, 苏提尔弟媳. Soontir Fel was also used as a template for clones during Grand Admiral Thrawn's campaign. These clones were used as sleeper cells, and scattered throughout the New Republic. One such cell, led By Soontir Fel's clone Carib Devist, defected to the Republic. 苏提尔·费尔也被作为索龙元帅战役/ Grand Admiral Thrawn's campaign时克隆人所用的基因样本.这些作为潜伏者(sleeper cells)的克隆人被派往新共和国各地.其中一个由苏提尔克隆体加里布·德维斯特( Carib Devist) 领导的克隆人投奔了共和国. ep6 L:The Force is strong in my family. May the Force be with the Empire.